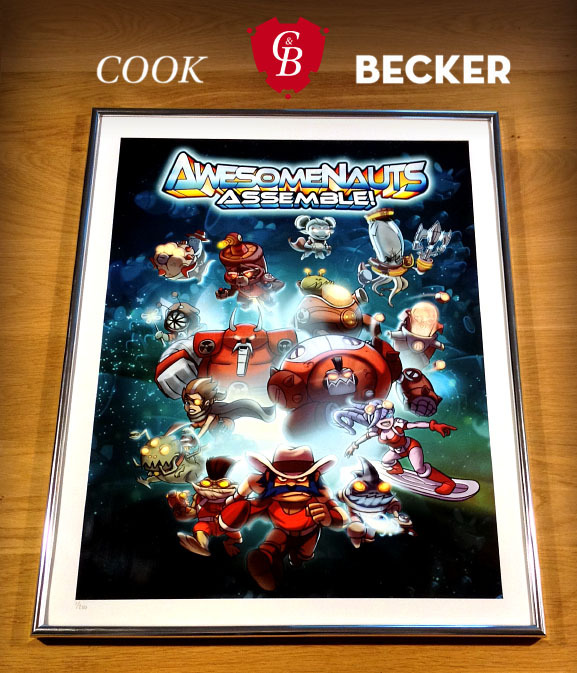 Cook & Becker Awesomenauts Art Prints! Cook & Becker are an art gallery and dealership who feature an amazing collection from all over the game-industry. 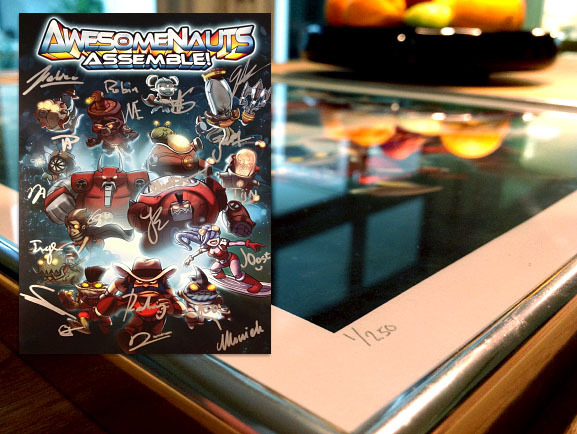 In a partnership with them, we have the privilege of selling superb quality prints featuring a variety of Awesomenauts art. We are offering 7 different prints in total. 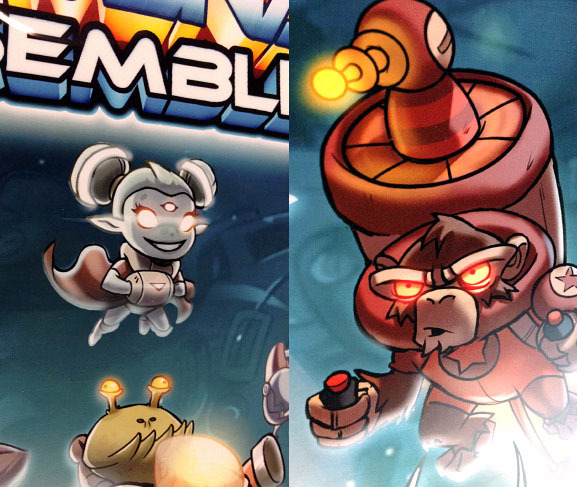 From the Awesomenauts Assemble poster (featured above, frame not included) to the pixel-art tribute of the Retro Poster. There should be something for everyone’s taste. The first 250 of each product line will be hand numbered so you know you have the very first ones ever created. As an added bonus on top of that, the first 250 overall sales will get a flyer autographed by the entire Ronimo team! Head on over to the new Awesomenauts Merchandise page for your colour-guaranteed (they do not fade over time! ), extremely detailed prints now! Want to purchase one as a gift? Place your order before December 9th, and your delivery should arrive right before the holidays!